Researchers from Boston University School of Medicine (BUSM) and George Washington University (GWU) have developed a method to rapidly identify pathogenic species and strains causing illnesses, such as pneumonia, that could help lead to earlier detection of disease outbreaks. The method has been termed the 'Pathoscope'. This has been made possible through sequencing technologies that have advanced the collection of genomic data for bioforensics, biosurveillance and for use in clinical settings. The pathoscope sequencing method is designed allow for rapid screening of thousands of infectious pathogens simultaneously, while being sensitive enough to monitor disease outbreaks caused by specific pathogenic strains. The USP has issued the following notice: Correction to Pharmacopeial Forum 39(1): General Chapter 601 Aerosols, Nasal Sprays, Metered-Dose Inhalers, and Dry Powder Inhalers. USP recently determined that there was an error in General Chapter <601> Aerosols, Nasal Sprays, Metered-Dose Inhalers, and Dry Powder Inhalers published in the Pharmacopeial Forum 39(1) [Jan.–Feb. 2013]. Section D.1 Calculations under D. Data Analysis should be marked for deletion. The General Chapter has been replaced and the corrected version is now available. An oral administration, consisting of a cocktail of bacteria derived from the human gut, seems to reduce colitis and allergy-invoked diarrhea in mice. Do probiotics work? One scientific study seems to suggest that the administration of 'beneficial' bacteria can treat certain diseases. 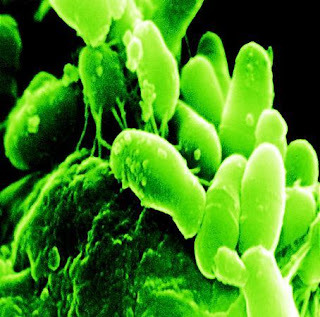 With the study, scientists have demonstrated that a blend of specially selected strains of Clostridium bacteria derived from humans can significantly reduce symptoms of certain immune disorders in mice. 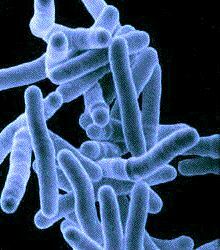 Clostridia bacteria include the well-known tetanus and botulism toxins. For the study, the researchers used strains of Clostridium derived from a sample of human feces. The experiments involved taking germ-free mice, bred to have colitis and allergy-induced diarrhea. The mice were then treated with specially selected strains of human-derived Clostridia and the results appeared to be successful. The reason for the success is because the bacteria appear to stimulate a type of immune cells called regulatory T cells. These cells produce important anti-inflammatory immune molecules. Alexander Rudensky, an immunologist at the Memorial Sloan-Kettering Cancer Center in New York and a cofounder, of Vedanta Biosciences, is quoted by the website the Scientist as saying: "It’s very valuable to see studies like this one, where detailed analysis of microbial compositions is linked to biology." The success of the animal studies may well lead to future trials conducted on people. The results of the study have been published in Nature in a paper titled 'Treg induction by a rationally selected mixture of Clostridia strains from the human microbiota'. The U.K. government is launching a new study into the impact of a microorganism called Extended-spectrum beta-lactamase Escherichia coli (ESBL-positive E. coli) in order to help combat the spread of this antibiotic-resistant bacterial strain. 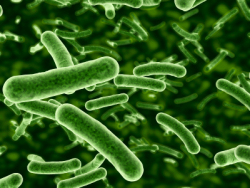 Escherichia coli is the most common pathogen of bacterial infections worldwide. It has been estimated that as many as 80% of urinary tract infections are caused by E. coli. E. coli infections can also cause infections in the intestine, with young children, older people and those with compromised immune systems at greatest risk of being affected by the bacteria. One of the concerns in modern medicine is the development of antibiotic resistant bacteria, a phenomenon that has arisen partly to the widespread (or ‘overuse’) of antibiotics. There are several bacteria strains of concerns (one of the most infamous being MRSA). Certain bacteria, like some strains of E. coli, can produce enzymes called extended-spectrum β-lactamases (ESBLs) that destroy, and confer resistance to, certain classes of commonly used antibiotics. In order to assess the impact, research will be carried out by Public Health England and funded by the Department of Health to establish the most significant reservoirs of ESBL E. coli, looking at sewage, farm slurry and raw meat to assess potential risks to human health. The research project will also look at stool samples from patients who have no symptoms of illness to see whether the bacteria are carried in their gut. The objective of the research is to gather data to help to reduce the numbers of infections, such as urinary tract infections or blood poisoning, that are caused by ESBL E. coli. Discussing the project aims, Professor Neil Woodford, head of the antimicrobial resistance and healthcare-associated infections reference unit at Public Health England, is quoted on a government website as saying: "Its results will help to shape future intervention strategies to reduce the spread of these antibiotic-resistant strains of bacteria and to reduce the numbers of infections that they cause." Farm workers who work on farms where high levels of antibiotics are used in farm animals carry a high proportion of antibiotic resistant bacteria compared with farms that are antibiotic free. The implication of this finding is that this is a further source of the spread of antibiotic resistant bacteria into the general community, which presents problems for the treatment of disease. The reason for the issue coming to light stems from a study of industrial livestock workers in North Carolina. A range of swab samples were taken from the noses of different farm workers and then analyzed in a laboratory. The farm workers who worked on farms where antibiotics are used carried far higher levels of antibiotic resistant bacteria, most notably methicillin-resistant Staphylococcus aureus (MRSA). MRSA is a strain of staphylococcus bacteria that is resistant to methicillin and certain first-line antibiotics called beta-lactams. The bacteria can cause serious infections of the skin, blood, lungs and bones. Infections with drug-resistant strains, like MRSA, can be particularly difficult to treat. Many industrial livestock operations raise animals in large conferment buildings and use antibiotics, including non-therapeutically in animals' feed and water to promote their growth. Those concerned with the overuse of antibiotics and the resultant rise in antibiotic resistant bacteria have cautioned against such practices. New research suggests that the bacteria that reside in the human get influence children with autism spectrum disorder (ASD). This is related to stomach conditions in children who go onto show signs of autism. The bacteria in the human gut and the way that the types and numbers change have been recently linked to a range of conditions, from digestion, fine-tuning body weight, regulating immune response, and producing neurotransmitters that affect brain and behavior. New revelations come as knowledge of the ‘human microbiome’ (the totality of microorganisms on an in the human body) increases. The latest connection is with gut bacteria and autism. Autism is a disorder of neural development characterized by impaired social interaction and verbal and non-verbal communication, and by restricted, repetitive or stereotyped behaviour. Autism is defined as a spectrum disorder, due to the broad range of symptoms involved and the influence of both genetic and environmental factors. The new research has shown that autistic children have a tendency to experience gastro-intestinal problems that can last into adulthood. This indicates a possible link with the types of gut bacteria and autism. Specifically, children with autism had significantly fewer types of gut bacteria, probably making them more vulnerable to pathogenic bacteria. The researchers hope that the technique developed to show the link will become a diagnostic tool to pinpoint autism and also work as a guide to developing effective treatments for ASD-associated gut bacterial problems. The report follows on from an earlier Digital Journal account of research which indicated that researchers have put forward a method for predicting autism in infants by examining how their brain reacts as they attempt to speak and process language. New research from Western University unravels a novel means of communication that allows bacteria such as Burkholderia cenocepacia (B. cenocepacia) to resist antibiotic treatment. B. cenocepacia is an environmental bacterium that causes devastating infections in patients with cystic fibrosis (CF) or with compromised immune systems. Research has shown that the more antibiotic resistant cells within a bacterial population produce and share small molecules with less resistant cells, making them more resistant to antibiotic killing. Therefore one mechanism of antimicrobial resistance appears to be based on chemical communication among bacterial cells. The latest edition of Pharmig News has been published (issue 52). The current issue includes a discussion about genotypic identification by Vikki Mitchell; the latest on the revision to the biocontamination standard ISO 14698; a regulatory update; details of Pharmig training courses…and more. 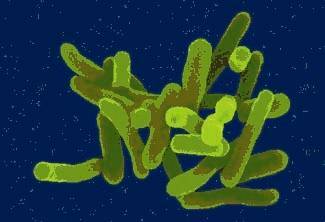 Texas A&M University System scientists from the departments of nutrition and food science and poultry science have developed a new medium for the cultivation of lactobacilli. Prior to the development of the new medium, the nutrient compositions of media that are traditionally used to cultivate lactobacilli have been largely undefined. This lack of definition complicates the use of media when trying to identify nutrients to stimulate the growth and metabolic activity of these important microorganisms. To develop the new medium, the overall contribution of undefined components, such as peptone, yeast extract and beef extract, was reduced by 70 percent in the final formulation. For further details, see the following research brief. An interesting paper has been published in Nature by Keisha Findley et al, titled: "Topographic diversity of fungal and bacterial communities in human skin". The paper has been published in Nature. "Traditional culture-based methods have incompletely defined the microbial landscape of common recalcitrant human fungal skin diseases, including athlete’s foot and toenail infections. Skin protects humans from invasion by pathogenic microorganisms and provides a home for diverse commensal microbiota1. Bacterial genomic sequence data have generated novel hypotheses about species and community structures underlying human disorders2, 3, 4. However, microbial diversity is not limited to bacteria; microorganisms such as fungi also have major roles in microbial community stability, human health and disease5. Genomic methodologies to identify fungal species and communities have been limited compared with those that are available for bacteria6. Fungal evolution can be reconstructed with phylogenetic markers, including ribosomal RNA gene regions and other highly conserved genes7. Here we sequenced and analysed fungal communities of 14 skin sites in 10 healthy adults. Eleven core-body and arm sites were dominated by fungi of the genus Malassezia, with only species-level classifications revealing fungal-community composition differences between sites. By contrast, three foot sites—plantar heel, toenail and toe web—showed high fungal diversity. Concurrent analysis of bacterial and fungal communities demonstrated that physiologic attributes and topography of skin differentially shape these two microbial communities. These results provide a framework for future investigation of the contribution of interactions between pathogenic and commensal fungal and bacterial communities to the maintenance of human health and to disease pathogenesis." One interesting thing from the paper is in relation to fungi. The team found an average of 50 species of fungi living on the feet of 10 healthy adults. For the study, the scientists also swabbed other body part of the volunteers. Sites selected included behind the ear, between the eyebrows, and on the chest, back, nostril, scalp, and various parts of the arm. However, fungal communities were most diverse on the foot. The diversity was not such in numbers and types for any one moment in time, for when the researchers re-sampled the study volunteers a couple of months later they found that the fungal communities had changed and different species were found. This is unlike other parts of the body, where the fungal types were relatively stable. The parts of the foot showing the greatest diversity were the plantar heel, toenail and toe web. For further details about this study, see Pharma Micro. Microbial identification places an important role in pharmaceutical processing. Microbial identification can be defined as “microbial characterization by a limited spectrum of tests pre-chosen and appropriate to the problem being studied”. Whilst the pharmaceutical microbiologist now faces a somewhat bewildering array of different test systems, once the selection has been made it is important, from a GMP perspective, that the system is validated. For this, both the United States Pharmacopeia and European Pharmacopeia offer some guidance. In general, the two approaches share more similarities than differences. There are, however, some aspects which are not in agreement. These are important to understand for those working for global pharmaceutical organizations, where inspections from different national regulators may occur. To explore this further, Tim Sandle has written a paper for the AmericanPharmaceutical Review. 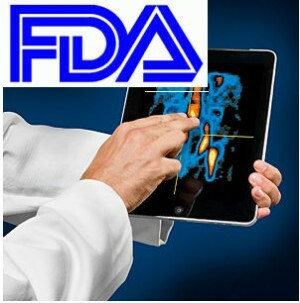 The FDA have issued a new guidance document entitled ‘Guidance for Industry and FDA Current Good Manufacturing Practice for Combination Products’. Blue light can selectively eradicate Pseudomonas aeruginosa infections of the skin and soft tissues, while preserving the outermost layer of skin, according to a new study published in the journal Antimicrobial Agents and Chemotherapy. The bacterium, Enterococcus faecalis, is the second-leading cause of hospital-associated infections in the U.S. E. faecalis is naturally found in the gastrointestinal tract of humans and other mammals. But outside the intestinal walls, the bacteria can cause bacteremia, urinary tract infections and endocarditis. It has been suggested that the bacteria are 100 to 1,000 times more resistant to lysozyme than other bacteria (lysozyme is an infection-fighting substance that humans produce and is found in numerous body tissues, such as tear film, the urinary tract and saliva). As part of the fight against this dangerous pathogen, researchers have discovered how a regulatory system helps this bacteria resist a host's innate immune defense -- a finding that may help develop novel drug compounds to fight the bacteria. By understanding the bacteria's regulatory network, the researchers hope to develop novel drug compounds that can block the bacterium's ability to sense and respond to the presence of lysozyme and other stresses during infection. A new device called a soft x-ray electrostatic precipitator protected immune-compromised mice from airborne pathogenic bacteria, viruses, ultrafine particles, and allergens, according to a paper published online ahead of print in the journal Applied and Environmental Microbiology. The SXC ESP device multiple potential uses, and Washington University is working on licensing the technology. "Small particles are difficult to remove, and our device overcomes that barrier," says Pratim Biswas of Washington University, St. Louis. "The device not only captures particles with a high level of efficiency that has never before been achieved; it also inactivates them. Even bioterror agents are blocked and completely inactivated." The range of potential uses includes indoor protection of susceptible populations, such as people with respiratory illness or inhalation-induced allergies, and young children; protection of buildings from bio-terror attack; protection of individuals in hospital surgical theaters (for example, during open organ surgery); protection in cleanrooms for semiconductor fabrication; removal of ultrafine particles in power plants; and capture of diesel exhaust particulates. The device could be used in homes, with a cost similar to that of high efficiency air cleaners. It could also be added into stand-alone indoor air cleaners, or incorporated into HVAC systems in homes, offices, and aircraft cabins. In the study, the device exceeded standards for high efficiency articulate air filters, which must be capable of removing particles larger than 0.3 micrometers with 99.97 percent efficiency. The SXC ESP works by placing a charge on the particles and then using an electrical field to trap the particles. The SXC unit then also completely inactivates biological particles by irradiating them and photoionizing them—as UV light does, only more energetically. This draft guidance describes FDA current thinking on defining, establishing, and documenting the responsibilities of each party (or all parties) involved in the contract manufacturing of drugs subject to CGMP. In particular, it describes how parties involved in the contract manufacturing of drugs can utilize Quality Agreements to delineate their responsibilities and assure drug quality, safety, and efficacy. This guidance applies to the commercial manufacturing of Active Pharmaceutical Ingredients (APIs or drug substances, or their intermediates), finished drug products, combination products, and biological drug products. The US FDA has published a Good Manufacturing Practice Guide for Cosmetic Products. This is a draft Guideline, and it includes recommendations on documentation, recordkeeping, buildings and facilities, equipment, raw materials, production, internal audits, laboratory controls, handling of complaints and reports of adverse events as well as on conducting recalls. Thanks to the ECA for the information. The purpose of TR 62 is to outline methods and approaches for control and evaluation of aseptic processing operations for drug products/medicinal products which use all or partially manual procedures. TR 62 has value for hospital and formulation pharmacies where manual aseptic processing may occur. The guidance provided in this report may be applicable to operations including: vaccine preparation, cell culture, gene therapy, Investigational New Drug/IMP manufacturing, clinical and commercial manufacturing, and pharmacy formulation and dispensing. A new book of interest has been published. The book it titled 'Pharmaceutical Regulatory Inspections - A Practical Guide'. The book provides a framework, coupled with in-depth analysis, of current issues pertaining to international pharmaceutical regulatory inspections. The book contains practical advice and insight to help different types of pharmaceutical organisations prepare for GMP inspections, understand key regulatory issues and review inspectorate trends and findings. The book has been edited by Madhu Raju Saghee. The book has been published by Euromed Communication, for details see: Pharma Book. This annual event is aimed at pharmacy professionals, including technicians and pharmacists, working in pharmaceutical production and quality assurance environments. The symposium is aimed at both the NHS and commercial sectors. The format encourages delegates to structure their own experience of the event around their individual needs and interests with a range of lead presentations, workshops and commercial presentations. The social aspect on the evening of day one allows opportunity for further discussion and networking. The exhibition provides a great opportunity to speak to pharmaceutical companies and equipment suppliers. All the companies you need to develop your service in one place. The Crowne Plaza, Chester, UK. For details, see the course brochure. This annual conference is dedicated to advancing science and regulation for global pharmaceutical microbiology by introducing the best practices of today and innovations of tomorrow. The PDA 8th Annual Global Conference on Pharmaceutical Microbiology will bring together all levels of industry professionals to network and benefit from a program that reveals the essential science of microbiology and seeks to solve the problems that our industry faces on a daily basis. The comprehensive program agenda will include presentations from regulatory and industry representatives from around the world who will share recent case studies, current and future trends in the field of pharmaceutical microbiology. During the conference, PDA will host an exhibition of leading bio/pharmaceutical companies who will showcase new technologies and trends for pharmaceutical microbiology strategies. For further details, see the refer to the course brochure. USP has embarked on a global initiative to modernize many of our existing monographs across all compendia. Having current monographs is tantamount to our mission of providing high-quality public standards. Towards that end, we are seeking industry collaborators to assist us in the development of these monographs. Please review the attached list. It contains the names of the top 428 high priority monographs requiring modernization. USP intends to modernize these monographs as soon as possible utilizing one of two primary ways: traditional submission from a stakeholder (e.g. manufacturer of article) or USP’s internal laboratory efforts. Monographs for which USP fails to receive submissions by December 31, 2013 will be directed to our laboratory. 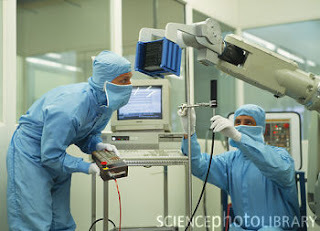 The production of sterile pharmaceuticals is carried out in various classes of cleanrooms. The most critical operation is during aseptic preparation and filling. 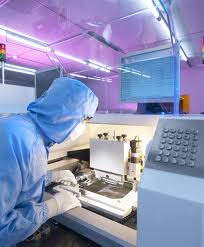 Particle counting, microbiological monitoring, temperature, relative humidity and pressure differential measurements must be monitored during the production of these drugs. Isolators have been around the Pharmaceutical Industry since the early 1980s and in the Nuclear Industry (glovebox technology) since the 1950s. The intent of isolators is to create an airtight barrier or enclosure around a piece of equipment or process which provides absolute separation between the operator and product. The operator can perform tasks through half-suits or glove ports. Isolators provide a specific environment inside the isolator using HEPA filters. In relation to isolators, Gary Partington has written a presentation about utilizing isolators for pharmaceutical processing. Modular sterility test systems provide the flexibility to handle different product sample types and varying scales of production capacity depending on the system configuration or material transfer method used. In relation to the newer systems appearing on the market, James Drinkwater has written a white paper, within which he demonstrates that having modular sterility test barrier separation designs can provide operational flexibility, enabling managed in-process transfers of different test sample types with varying batch process throughput. Real-time viable particle detectors use optical techniques to determine particle viability on a particle-by-particle basis. Real-time viable particle detectors use the intrinsic fluorescence of microbial constituents associated with cell viability to analyze environmental particles entrained in the aerosol sample flow path. In relation to this technology, Darrick Niccum has written an article for Pharmaceutical Online. A new book has been published titled “Risk Management and Risk Assessment for Pharmaceutical Manufacturing: A contamination control perspective”. The book has been written by Tim Sandle. The book presents an overview of risk management and risk assessment for those working in the pharmaceutical and healthcare sectors. An understanding of risk management and risk assessment is today becoming a prerequisite for those working in quality control and quality assurance, and for those active in pharmaceuticals and medical devices, Quality Risk Management it is a mandatory requirement. The book expands upon this subject through a series of case studies, utilizing tools like HACCP and FMEA. The book balances regulatory guidance, theoretical concepts and practical examples. For Amazon U.S., go to Amazon US. Endotoxin is a major constituent of the outer cell membrane of gram negative bacteria. Typically, endotoxins are released to surroundings when the bacterium dies and the cells are disrupted. Since bacteria can grow in nutrient-poor media such as water, saline, and buffers, endotoxins are found almost everywhere. Due to their ubiquitous nature, endotoxins are persistent biocontaminants that deposit and adhere to many materials. High concentrations are found where bacteria accumulate or are to be used for technical purposes, such as in bioprocessing. In relation to this, Jyothi Thundimadathil has written an article for Controlled Environments. “Though most peptides are made synthetically, Part 21 CFR 601.2 of U.S. Food and Drug Administration (FDA) regulations classifies peptides as specified biologics. Therapeutic quantities of most macromolecules do not pass easily through the skin or mucus membranes without penetration-enhancing techniques, such as detergents or electric impulses, increasing the likelihood of irritation or other side effects. For this reason, many protein and peptide drugs have to be delivered by injection or a nano-needle array. For further details see Controlled Environments. 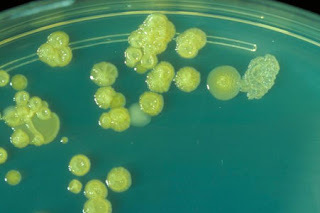 An actinomycete species isolated from sediment collected from a Norwegian Fjord, is one of the latest additions to the UK’s National Collection of Industrial Food and Marine Bacteria. The sole strain of Verrucosispora fiedleri which has been added to the collection was discovered by Prof Michael Goodfellow MBE and his team in the School of Biology at Newcastle University. There are approximately 8000 strains in NCIMB’s constantly expanding collection and although the collection itself was first established in 1950, some of the deposits within it date back much further. For example cultures from the Rothamsted Research Station soil collection which are now housed at NCIMB, include unsealed glass vials dating back to the 1920s. Culture collections like NCIMB play an important role in making strains isolated through academic research available to industry and other researchers, and NCIMB regularly ships strains from the collection around the globe. Carol concludes: “There have been huge advances in the understanding of molecular biology since the culture collection was established - indeed the collection predates Watson and Crick's discovery of the structure of DNA. Modern methods may allow us to screen bacteria in the collection for previously undiscovered properties making the collection more important than ever as a genetic resource for the future”. By combining continuous ultrasound treatment with chlorine washing, scientists have predicted that they reduce the total number of foodborne pathogenic bacteria by over 99.99%. This claim comes from research undertaken by Hao Feng, a U of I professor of food science and human nutrition. According to Feng, the USDA is looking for proposed technologies that can achieve a 4 to 6 log reduction in pathogen cells. Feng’s system uses three pairs of large-area ultrasonic transducer boxes to form a channel through which ultrasound is provided. The FDA has posted an interesting research note titled ‘FDA study suggests critical potential role of individual bacteria in spreading anthrax through body’. “The spread of the most dangerous type of anthrax infection through the body slows down when the bacteria hit a temporary bottleneck created by the immune system, according to results of a study by scientists at the Food and Drug Administration (FDA). The bottleneck traps the bacteria until some of them escape and continue to spread the infection throughout the body. To read about the research in more detail, see FDA anthrax. The FDA have an interesting poster, as part of their advancing regulatory science series, titled ‘Characterization of intracellular ATP Iuminescence assay for rapid evaluation of tuberculosis vaccine (Mycobacterium bovis BCG)’. Silver has been shown to make bacteria more susceptible to antibiotics. Silver weakens bacterial cell membranes and induces a chain reaction which makes them vulnerable to other chemicals. Silver has been known to have antimicrobial properties for centuries. Foe example, the the Phonecians stored water and other liquids in silver coated bottles to discourage contamination by microbes; and silver became commonly used in medical treatments, such as those of wounded soldiers in World War I, to deter microbial growth. Now scientists have shown a new factor in relation to silver: it seems to help antibiotics work better. This is important, given that the global shortage of antibiotics is of international concern and considerable research efforts are being invested into find new types of antibiotics. According to a paper published in Science Translational Medicine, researchers have explained the cellular processes by which the precious metal weakens bacteria and makes them more susceptible to antibiotics. What the researchers found was, according to Nature, that silver ions interfere with several cellular processes in bacteria (these included disulfide-bond formation, iron homeostasis, and metabolism). These changes make the cell membrane more permeable to things like antibiotics. It was also shown that silver ions increase reactive oxygen species, which can induce cell death via DNA damage. The implications of the finding suggests that silver could be used to enhance the effectiveness of antibiotics against drug-resistant bacteria.